If you are searching for the best tree service professionals in Chesapeake, VA, you've come to the right place. Virginia Beach Tree Service Pros offers high quality tree care, including trimming, removals, pruning, 24-hour emergency services, stump grinding, and more. If you currently look outside at your trees in your yard or on your commercial property? What do you see? Are they shaped well? Do they stand nice and tall, not leaning? Or, are they overgrown and need a little TLC? Regardless of the current condition of your landscape, we believe there is always room for improvement—and our services can do just that, improve your landscape and maintain your trees. If you’ve never used a professional tree service company before, we’ve happy to sit down with you to explain all the things we offer and how we can help your property. Like any professional service provider, our entire staff is made up of experts in our field. We even employ a team of certified arborists who have spent years studying the art and science of tree care. They understand better the anyone the do’s and don’ts of services we provide, and they are responsible for creating customized plans that meet the needs of both our residential and commercial customers. Our tree care plans are not just decided on the mere fact of whether you are a commercial or residential client. Instead, they are personalized for each and every one of our customers. Everyone’s landscapes include different tree species and each of those trees may be at different levels of health. There is no “one right answer” when it comes to tree care, so we will never try to provide you with a “one size fits all” service. If you believe you can complete the necessary tree care you need for your home or business on your own, we urge you to think again. Not only would it be a major time commitment, but it would be against your better judgment to put yourself in harm’s way in an attempt to do these highly specialized tasks. There is a reason our team does this for a living. We have the necessary training along with the necessary tools to complete the job and complete it well. 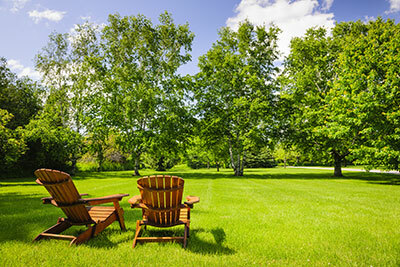 It's important to understand that whether you have one or ten trees around your home or business, regular professional tree care in Chesapeake, VA can provide benefits for your land. We pride ourselves in providing our services at competitive market rates that encourage repeat customers. We offer free estimates so do not hesitate in calling us when you are ready to get started on your next project. At Virginia Beach Tree Service Pros, we won’t call any job complete until we know you are completely satisfied with our work and the end result. You can trust us when we say that we care about your trees just as much as you do—so when we arrive to complete the project, we’ll treat your property as if it were our own.